Simon Sherry of Dalhousie University said Wednesday other jurisdictions have kept them separate because "it's just not a good idea." 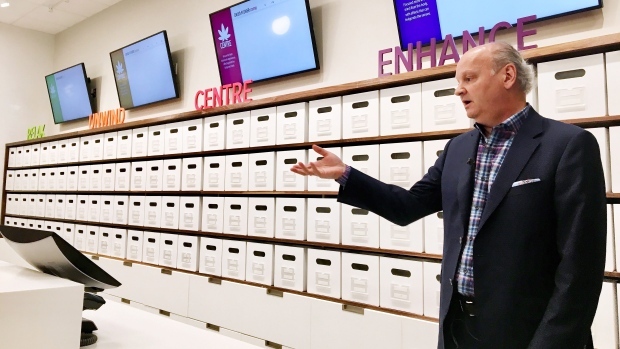 But Justice Minister Mark Furey said Thursday the NSLC has a track record with regulated products, and is following a federal marijuana panel's advice on protective measures including staff training and no cross-promotion. "We have full confidence in the Nova Scotia Liquor Corporation's ability to retail a regulated product," said Furey. "Cannabis is co-located but it is very separate from the alcohol elements." "I think the next 12 months is going to be an important period in the evaluation and assessment in the model we've advanced," Furey told reporters Thursday. "There are good reasons why other jurisdictions have decided against co-location. It's just not a good idea," he said.